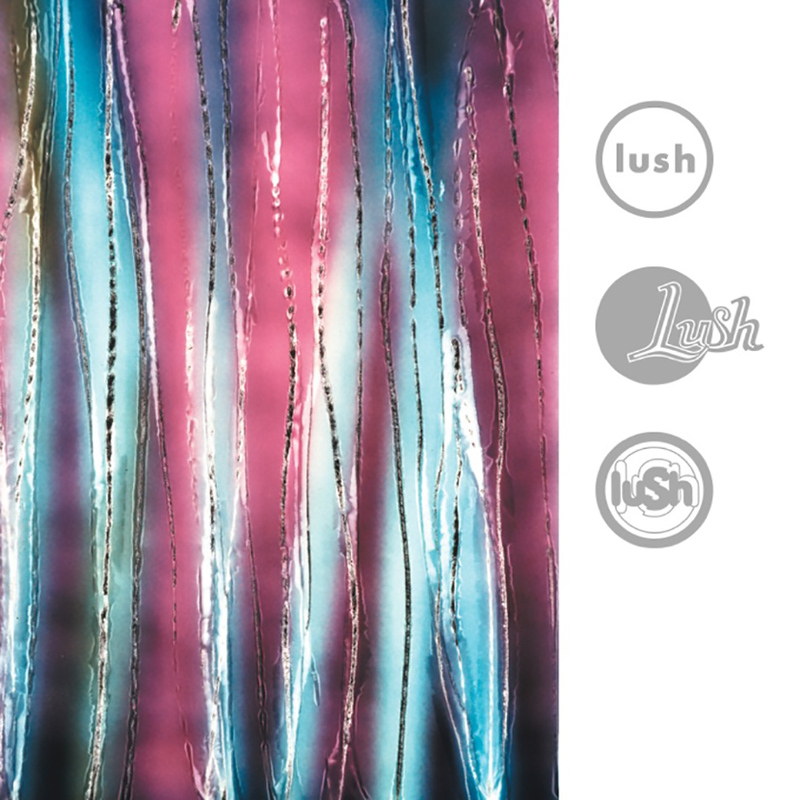 An overview of the Lush catalog, grouped/organized in several different ways. 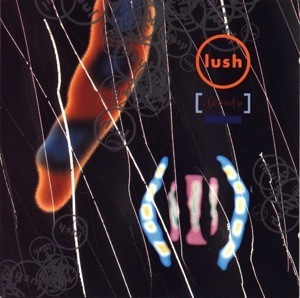 Only official releases are included -- original Lush records released by 4AD, affiliates and Edamame Records, for sale to the public in various countries. It combines information from many sources (see the credits below) such as recording and release dates, catalog numbers, run-out groves, track times, full liner notes, credits and cover art. 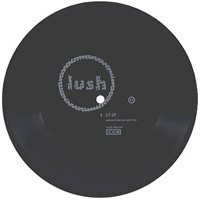 In the years since this website was launched, the community-built database Discogs has grown into a much more comprehensive catalog of Lush releases than what is found here, including extremely detailed production info, catalog numbers, photos, release dates, etc. However this page may still be useful as a more-visual overview for those new to the band. 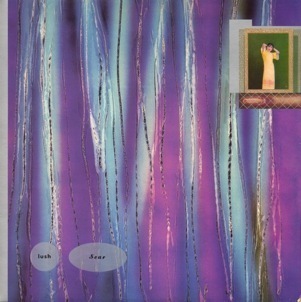 1990 Gala is often called their first album in the US, but it is actualy a compilation of every track from the mini-LP and 2 EPs that preceded it (Scar, Mad Love and Sweetness & Light) plus 2 new tracks. It was made for the US market (where the EPs were only available on import), followed by a limited edition release in the UK. 1992 Spooky was preceded by 2 EPs (UK-Black Spring, US-Nothing Natural and For Love) and followed by 1 EP (Superblast!, in Japan only). After Gala, all EPs are “singles” featuring one track from the associated LP plus several “B-side” tracks that do not appear on the LP. 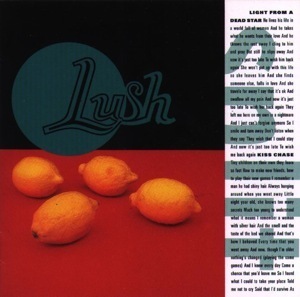 The B-Sides include additional new Lush songs, remixes, alternate versions, and covers. 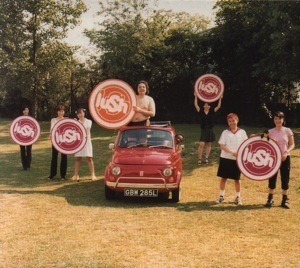 Lush's B-Sides are considered by many fans to be at least as good as the songs on the actual LPs. 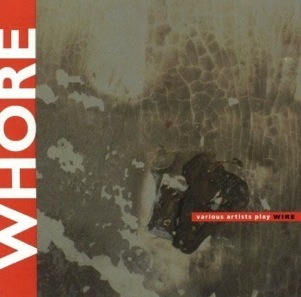 1994 Split was preceded by 2 EPs (Hypocrite and Desire Lines). 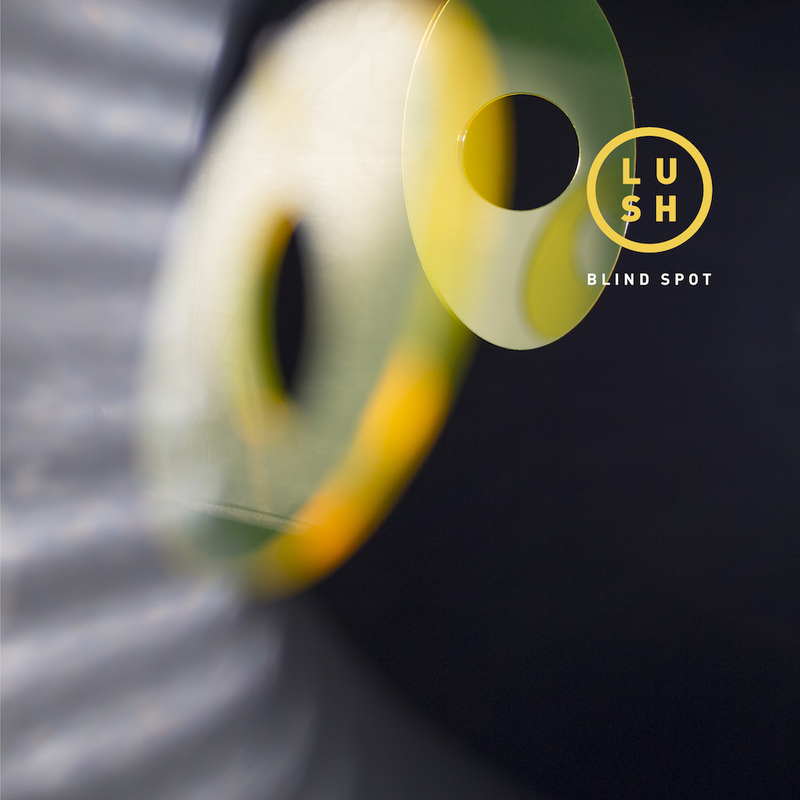 2016 Blind Spot was an EP released as part of the 2016 reunion (on the band's own label, Edamame records) with 4 new songs co-written by Miki and Emma. 1994 Cookie Mini-LP with all 6 of the B-sides from the 2 Split EPs. (Japan only). 1996 Topolino LP of B-sides from the 3 Lovelife EPs. (9 tracks in Japan, 12 in Canada). 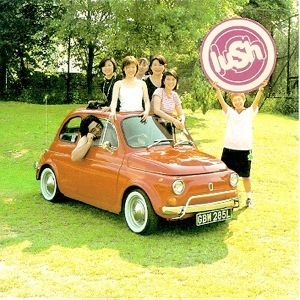 2001 Ciao! 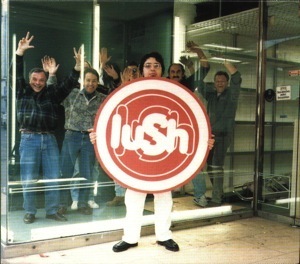 “Best-of” LP containing 17 tracks from the four albums and one B-side track, released several years after Lush disbanded. 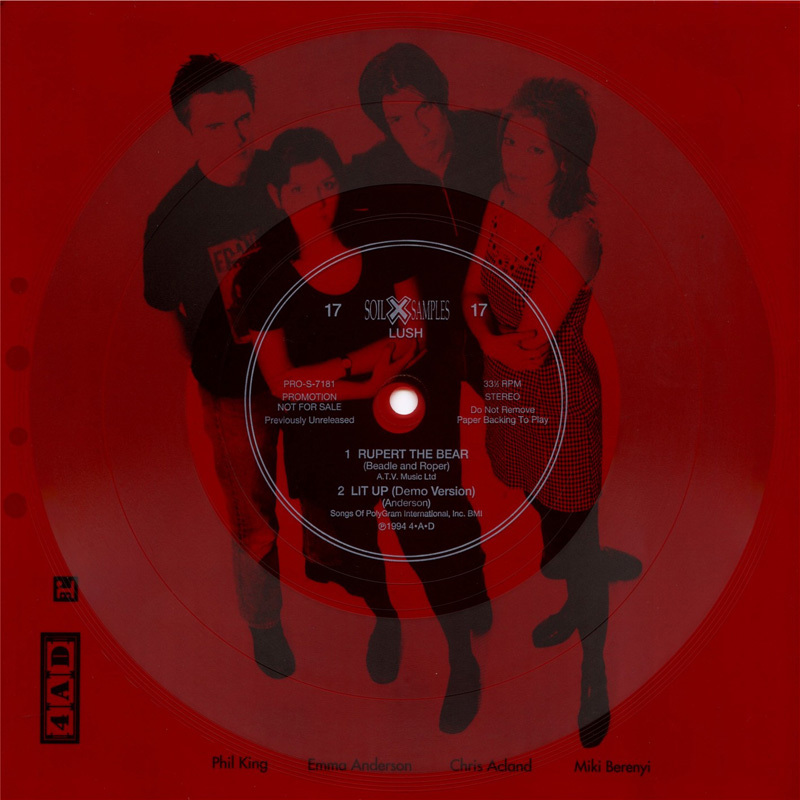 It was re-issued by 4AD for the 2016 reunion, on 2 red vinyl LPs. 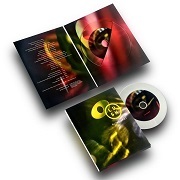 2015 Chorus 5-CD box set in book format, released by 4AD for the 2016 reunion. Includes previously unreleased demos, radio sessions, remixes and rarities. Comprised of the 4 albums (Gala, Spooky, Split, Lovelife) and the Topolino compilation (Lovelife B-sides). Each disk has the original track listing followed with bonus tracks. 2016 Origami 5-LP box set released on Record Store Day by 4AD for the 2016 reunion. 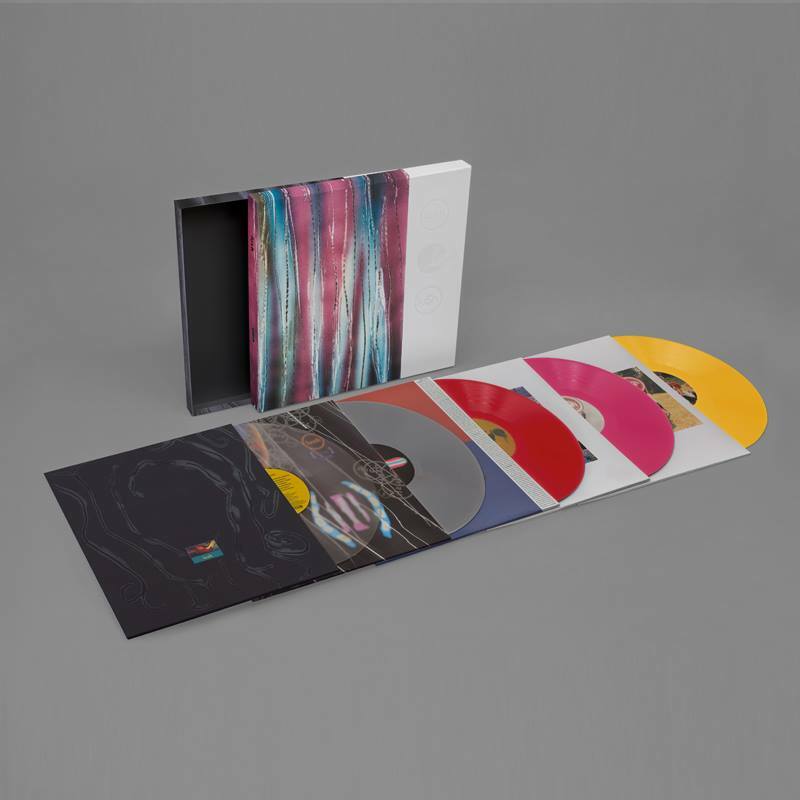 It includes the 4 albums (Gala, Spooky, Split, Lovelife) and Topolino compilation (Lovelife B-sides) in colored vinyl, with the original track listings, plus download codes for each album including all the bonus tracks from the Chorus CD box set. Refers to Emma mishearing Miki's lyrics "Vanities Delight" and "I'm still fond of you" from Scarlet and Etheriel. Produced by Robin Guthrie. Engineered by Lincoln Fong. Sleeve by Vaughan Oliver, Christopher Bigg and Jim Friedman. Run-out grooves: hey hey Howard... / what are you like? Produced by Tim Friese-Green. Engineered by Ed Buller. Recorded at The Greenhouse and Wessex Studio. Sleeve by Vaughan Oliver, Chris Bigg and Jim Friedman. Run-out grooves: cool, fresh, milk float / what's hiding under the sheets? 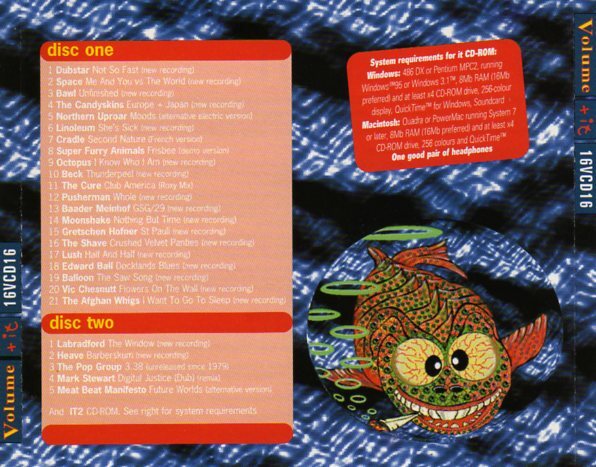 This is a compilation done for the US market, with a limited release in the UK. 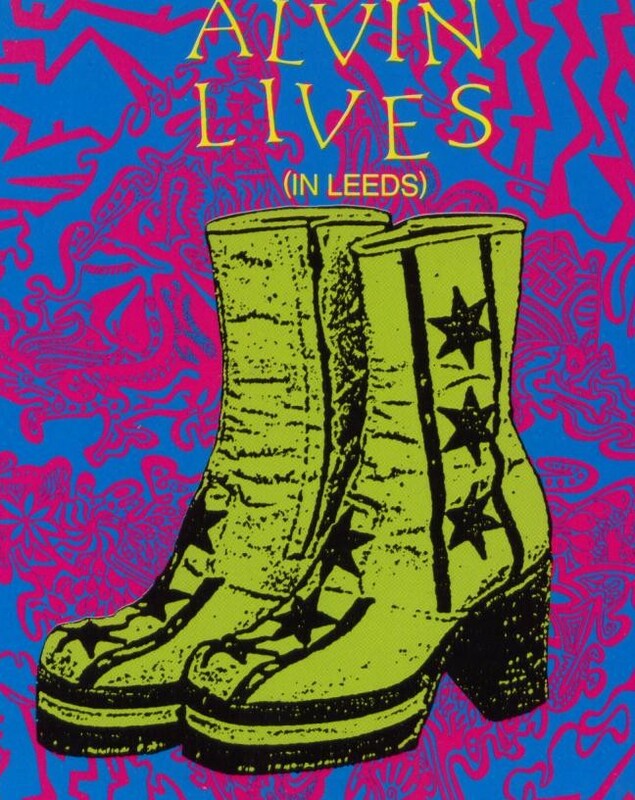 It includes all tracks from the previous EPs, plus the new track Hey Hey Helen and the Robin Guthrie re-recording of Scarlet first released on the NME compilation Gigantic 2. There is some disagreement about whether the Gala LP should be considered a true album (like Spooky, Split and Lovelife) or a compilation (like Topolino). 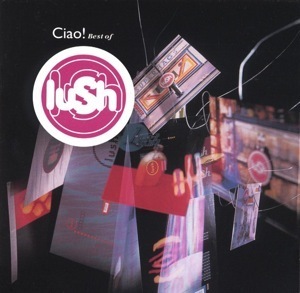 Generally, only fans in the US consider Gala an album--the EPs which it’s based on were only available as imports in the US, so Gala was their first exposure to Lush--whereas everyone else considers it a compilation. Tracks 1 2 & 3 are from BAD0013, released October 1990, produced by Tim Friese-Greene, engineered by Ed Buller, percussion by Phil Overhead, recorded at the Greenhouse, London. mixed at Wessex studios, London August 1990. Tracks 4 5 6 & 7 are from BAD0003, Mad Move E.P. released February 1990. produced by Robin Guthrie and Lincoln Fong, recorded at September Sound and The Church, London, December 1989. 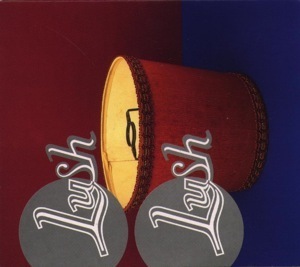 Tracks 8 9 10 11 12 & 13 are from JAD911, Scar, released October 1989 produced by Lush and John Fryer, engineered by John Fryer, recorded at Blackwing Studios, London, July 1989. 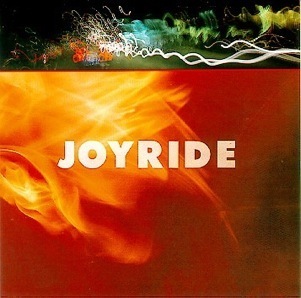 Track 14 produced by Robin Guthrie, engineered by Robin Guthrie and Guy Fixsen, recorded at First Protocol and September Sound, London, February 1990. 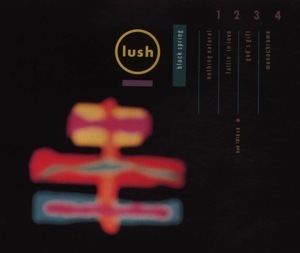 Track 15 produced by Robin Guthrie, engineered by Robin Guthrie, recorded at September Sound, London, April 1990. Produced by Robin Guthrie. Engineered by Robin Guthrie & Mitsuo Tate. Sleeve by Vaughan Oliver and Jim Friedman. Run-out grooves, AD 1016: And who's in `ere? / a little gum! 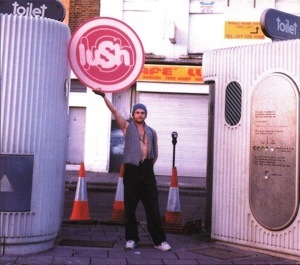 Produced by Mark Freegard and Lush. For Love produced and engineered by Robin Guthrie. 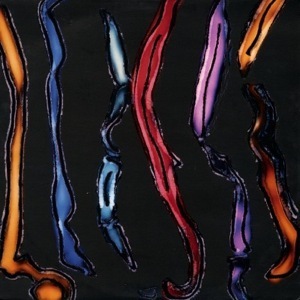 Run-out grooves, BAD 2001: Chris - does a lotta work for charity / See that Emma from Lush? Dyin' for it! Run-out grooves, BAD D 2001: Steve, yah, bloody good bloke / Miki? Face like a bulldog chewing a wasp! This is their first full studio album. 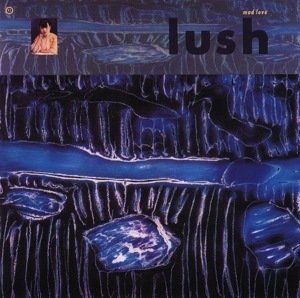 What do you call Lush's.. / bass player in Japan? Special thanks to: Robin Guthrie, Tim Carr, Kevin Hunter, Ivo and Howard. Thank you: Sarita Allison, Steven Baker, John Beug, Pete Bartlett, Melanie Caldwell, Ray Conroy, Anne Donoghue, Dave Elliott, Lincoln Fong, Russell Fong, Marc Geiger, Kaz Gill, Jeff Gold; Gough 3 and 4, John Greaves, Martin Griffiths, Mick Griffiths, Michelle Gutenstein, Steve Hayes, Sheri Hood, Ben Jacobs, Jo Lenardi, Richard Manners, Mary Marcus, Bruce Mcguire, Mark Neiter, Paul Normandale, Andy Pole, Scottie, Peter Standish, Kevin Westerberg. all at 4AD, v23 and Warners/Reprise. Respect: John, Irene, Punx and Skinz everywhere. 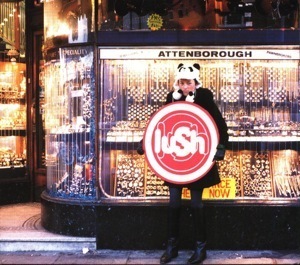 Write to Lush Information Service, P.O. Box 2406, London, NW1 5NE. Lists Phil as the bass player. Produced by Lush & Mike Hedges. Sleeve by Vaughan Oliver, Chris Bigg, Richard Caldicott & Melodie McDaniel. 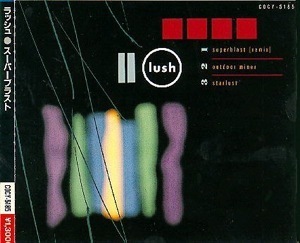 Mixed by Alan Moulder except Lovelife remix by Co-Co T and Suga-D.
Strings on Desire Lines arranged by Martin McCarrick. Strings on Girl’s World arranged by Audrey Riley. * Includes a bonus CD with the B-Sides from the Desire Lines single. Strings on Desire lines and When I Die arranged by Martin McCarrick. Art direction and design by Vaughan Oliver and Chris Bigg at v23. Photography: Four Lemons (1992), Four Wheels (1992), Sticks (1992), Books (1991) by Richard Caldicott. Special thanks to: Howard, Ivo, Robin and Alan. Thanks to: Pete, Jimmy, Chris, Jon, Tommy, Steve (mild bloke), Mick, Kaz, Richard and Nigel, Scott Litt and Brian Gelfond. Hello! Melissa, Maxine, Bunny, Kate, Polly, Justin, Bill, Caitlin and all friends and families. Much love to John and Ted. 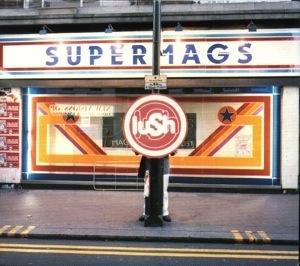 Produced by Lush & Pete Bartlett. Engineered by Giles Hall, Liam Molloy & Neil Simons. Recorded at Protocol Studios, London. 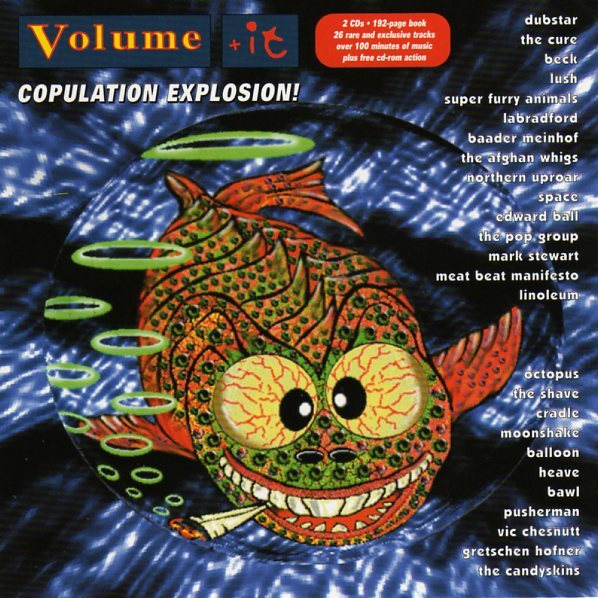 Mixed by Sean Slade, Paul Q, Kolderie, Pete BArtlett and Giles Hall. Featuring Kate Holmes from Frazier Chorus and Ray Dickaty. Sleeve by v23 and Ichiro Kono. Heavenly arranged by Pete Bartlett. Photography: Ichiro Kono. Hey, Don! Jarvis Cocker appears courtesy of Island Records. All songs ©1996 Songs of PolyGram International Inc. BMI. Special thanks to: Pete Bartlett, Sean and Paul, Peter Felstead, Julian de Takats, Ivo Watts-Russell, Robin Hurley, Tim Corr, Simon Horper, Jo Lenordi, Nigel Coxon, Colin Walloce, Polly Gregory, Alan Wolmark, Mick Griffiths, Kaz Gill, David Mansfield and Margre, Jimmy Acevedo, Jon Greaves, Jon Gallagher, Tommy Winstone and Sarita Allison, all at Appearing, all at 4AD, v23 and Warner Bros./Reprise. Hello and love to: Melissa. Maxine, Bunny, Kate, Liz, Polly, Kathy, Dominic, John, Neil, Giles, Grace, Cumbrian Mates and all our friends and families. No thanks to the Clonmel bouncers. Engineered by Liam Molloy & Neil Simons. Mixed by Pete Bartlett & Giles Hall. 500 (Shake Baby Shake) mixed by Mike Drake and engineered by Steve Cook. A compilation of Lovelife b-sides. * I read somewhere that "I Have The Moon" appears only on the "1996 Japan Tour Special" version of the CD, which supposedly has the same catalog number and is not marked as a tour special CD except on the obi strip. 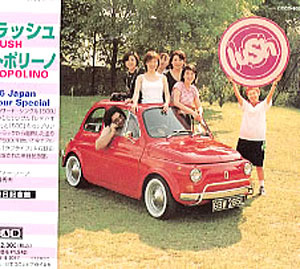 However, the "Japan Tour Special" with obi strip may in fact be the only Japanese version that was released. 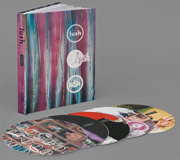 5-CD box set in book format, released by 4AD for the 2016 reunion. Includes previously unreleased demos, radio sessions, remixes and rarities. Comprised of the 4 albums Gala, Spooky, Split, Lovelife and the Topolino compilation (Lovelife B-sides). Each disk has the original track listing, followed by bonus tracks which do not seem to be organized in any particular way. 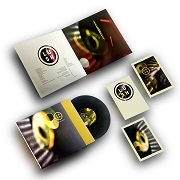 5-LP box set released on Record Store Day by 4AD for the 2016 reunion. Outside the US, the box set was enclosed in an outer "pizza box". Contains the albums Gala, Spooky, Split, Lovelife and the Topolino compilation (Lovelife B-sides) in colored vinyl, with the original track listings. See the original albums above for track listings. 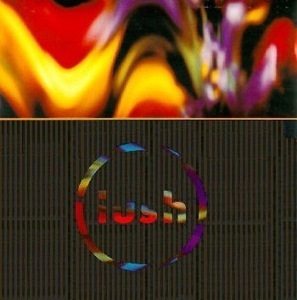 Each album also includes a card with a code for a one-time download of the tracks found on the corresponding CD from the Chorus box set, including the bonus tracks. The download for each album is a ZIP file containing 320KBps MP3 files. See the Chorus box set above for a list of the bonus tracks included in the ZIP files. 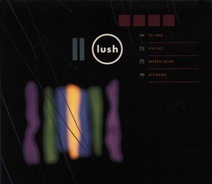 This is just a small sampling of covers, demos and alternate versions of Lush songs (plus one original Lush song!) 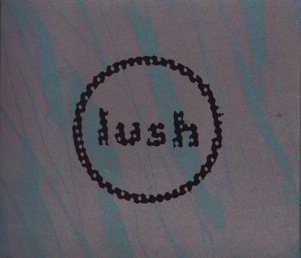 that did not appear on any official Lush release. 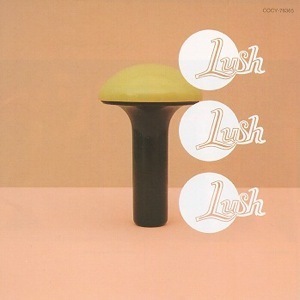 A far more complete list of such recordings can be found in Discogs, a community-built database that has a much more comprehensive and detailed catalog of Lush releases than what is found on this page. 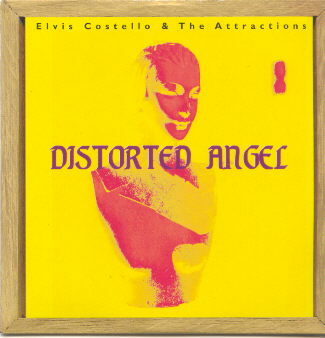 From Elvis Costello EP "Distorted Angel"
Elvis Costello, who was known to be a Lush fan, asked Lush to record this cover especially for this EP. Elvis Costello EP "You Bowed Down"
Charity release in aid of the Anti-Poll Tax Campaign. 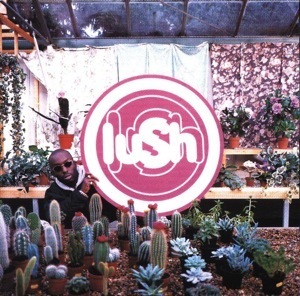 Lush track produced by Robyn Guthrie. 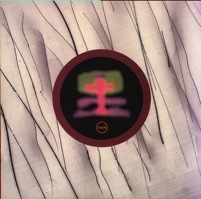 From the CD given out at the "13 Year Itch" celebration of 4AD's 13th birthday. Performed live. Superb! A recording exists (radio broadcast?) but its date/venue is unknown. Each of the four albums is grouped here with its related EP and mini-LP releases using the same background color. 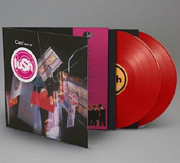 The first chronological appearance of tracks that are not on any of the four main albums is marked in color: original Lush songs in red, covers and re-mixes in purple. 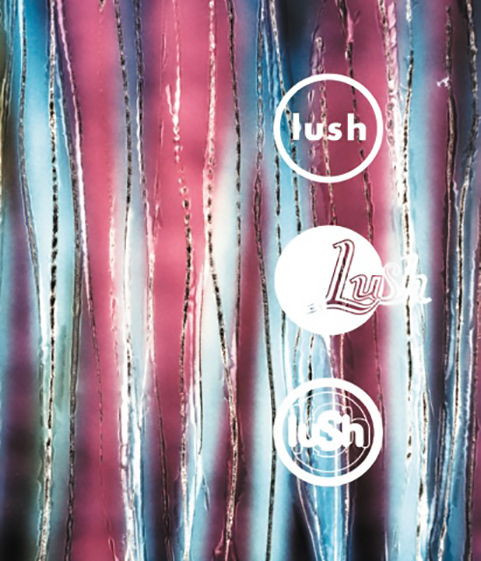 So, to acquire every officially released Lush song you would need to get the four albums plus all the tracks marked in color. A good way to acquire many of those tracks is to get the Japanese Cookie and Canadian Topolino CDs. All releases are on 4AD (UK) unless otherwise specified. Reprise (Warner Bros. Records) was the US label, PolyGram in Canada. For other labels, the country is indicted. All songs written by Emma Anderson and/or Miki Berenyi (two amazing songwriters in one band) unless otherwise indicated. See the Lyrics page for details on authorship. 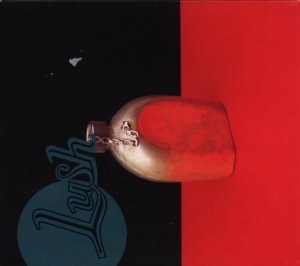 Downer - The Lush Site - a long-standing Lush fan site, includes extensive liner notes not found elsewhere.